Even in our darkest hour there's always hope. 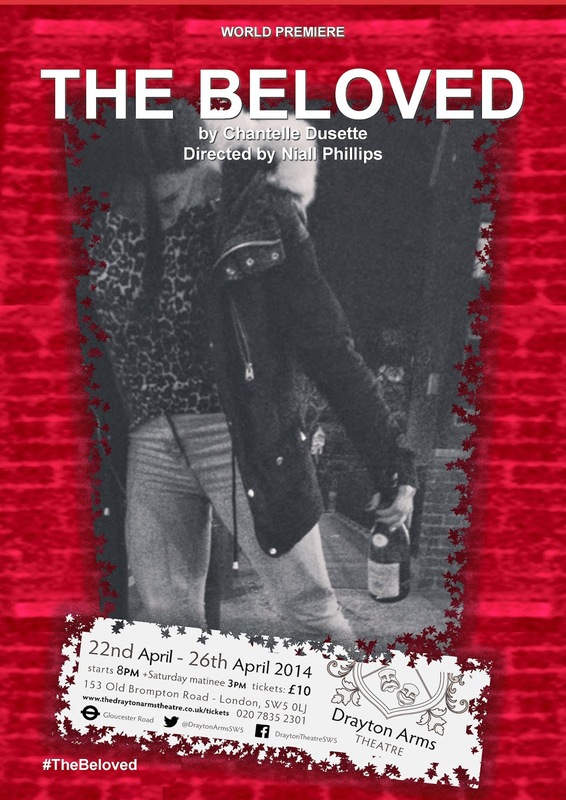 That's the message at the big warm heart of this play written by Chantelle Dusette and directed by Niall Phillips. The Beloved explores the life of a woman and artist (Anna - Katharine Blackshaw) recovering from alcoholism and grieving for her husband stuck in a coma following a near-fatal car accident. Her pain is literally strewn around the stage, with a picture of her husband in the foreground and alcohol bottles imposingly lining the periphery as a constant reminder of her past and present. Anna soon meets the boy responsible for the car accident and the pair strike up an unlikely friendship. The typical youthful, slightly gangster, boy (Michael Lyle) is the antithesis of the middle-class Anna, representing the son she never had. They are from different worlds, reflected in their contrasting dialogue. Too swiftly, however, the boy character is dropped in favour of another man, Anna's gardener David (Greg Patmore) and friend of her husband. David is sweet and endearing (if one dimensional) and replaces alcohol as Anna's crux. Yet David never interacts with the boy, so we never get a sense of how this new yet fractured family come together. Like the individual scenes, the overall play (at just one act) is too short, snappy and underdeveloped. It even touches, albeit briefly, on the artist's pain being necessary for their work. The narrative is cleverly pieced together from scene to scene, but each characters' trajectory is ultimately predictable and the play's final climactic moment relies too heavily on cliché. The actors are utterly committed to their roles, however; Blackshaw especially as the distraught and vulnerable Anna. It ensures that despite its flaws, The Beloved is a touching little drama. Watch: The Beloved runs at the Drayton Arms Theatre until 26th April.